Center Diamond Details: 1 GIA certified oval cut, F color, of VS1 clarity, weighing 1.03 carats. 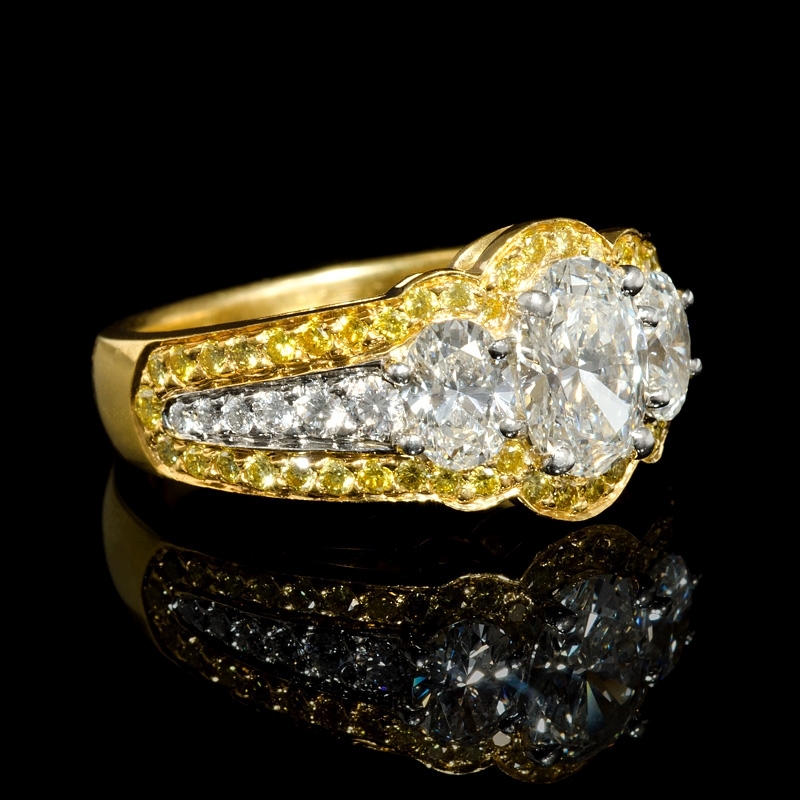 Diamond Details: 2 Oval cut and 12 round brilliant cut white diamonds of F color, VS1 clarity, with excellent cut and brilliance, weighing 1.02 carats total with 54 round cut fancy yellow diamonds, weighing .54 carat total. 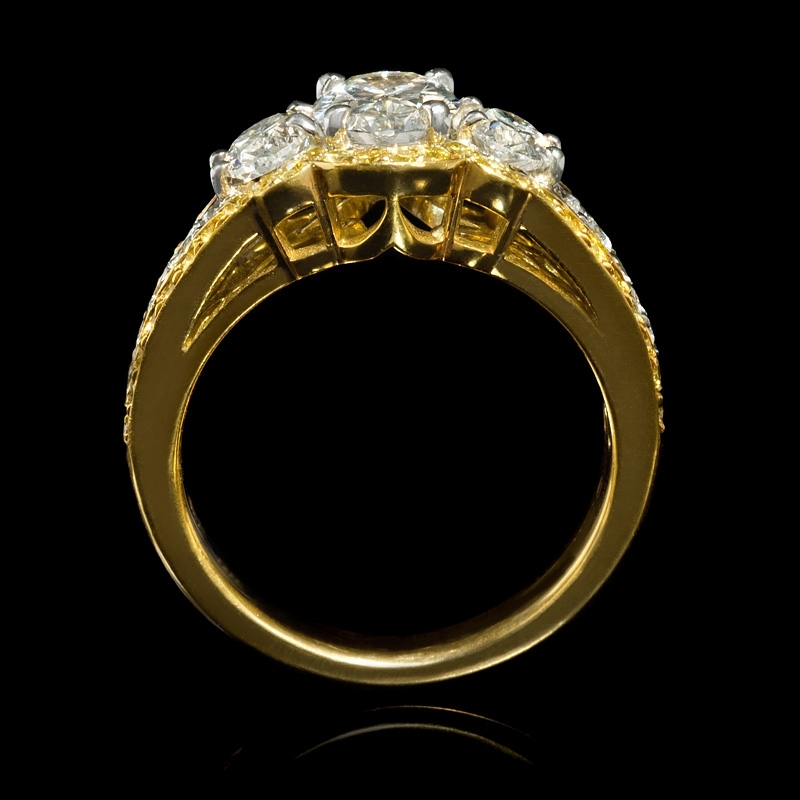 Ring Design: Charles Krypell platinum and 18k yellow gold design. Measurements: Size 6.5(sizable). 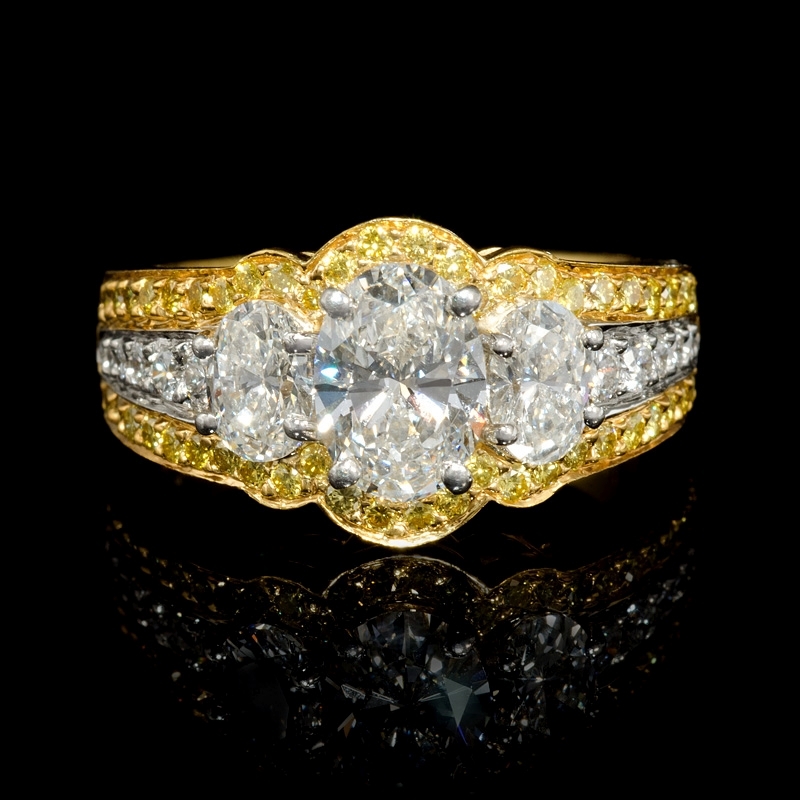 Charles Krypell rings can be ordered in any finger size. Please allow 4-6 weeks for delivery. 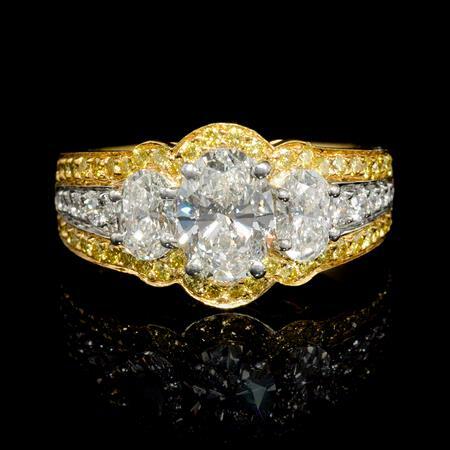 This stunning Charles Krypell platinum and 18k yellow gold engagement ring, features 2 oval and 12 round brilliant cut white diamonds, of F color, VS1 clarity, weighing 1.02 carats total and 54 round cut fancy yellow diamonds, weighing .54 carat total surrounding a GIA certified center, oval cut, F color, of VS1 clarity, weighing 1.03 carats. This ring is a size 6.5. Charles Krypell rings can be ordered in any finger size. Please allow 4-6 weeks for delivery.